Last two decades have seen a surge in dental education. The number of dental professionals is increasing exponentially in the present years. This surge has brought quality of Dental Education to the country and this has been possible because of improvements in financial status of the country, availability of modern technology at affordable prices and above all the willingness of the population to accept the advanced picture of dentistry.  PDM Dental College & Research Institute was conceived with a viewpoint to introduce the uppermost crust of Dental education and an aim to provide Dentistry with state of the art technology to the people of Bahadurgarh & vicinity who have been deprived of such excellence. This budding Institution was established in the year 2006 with the permission of Haryana Governnment, Govt. of India & was affiliated to the prestigious M.D. University, currently the college is affiliated to Pt.B.D.Sharma University of Health & Sciences, Rohtak for BDS & MDS Courses. The college has created a large & impressive infrastructure and has already completed the building requirements for BDS & MDS Courses. The lecture theatres are ultra modern providing ease of teaching with touch screen & interactive board. The fully equipped labs are spacious for comfortable functioning. The Dental clinics are providing dental care on fully loaded electronic dental chairs and latest know-how. The faculty is experienced & efficient specially chosen and hand picked for this Institution which intends to make a mark in Dental Education in the country. A large number of patients from adjoining areas have benefitted for specialized treatments including Bone grafting, Implantology, maxillofacial Surgery and Endodontic treatment etc. The Institution provides an excellent environment to the students and the students learn the latest in Dentistry. The vision of the Management is very well defined and there is no compromise when it comes to imparting quality education.